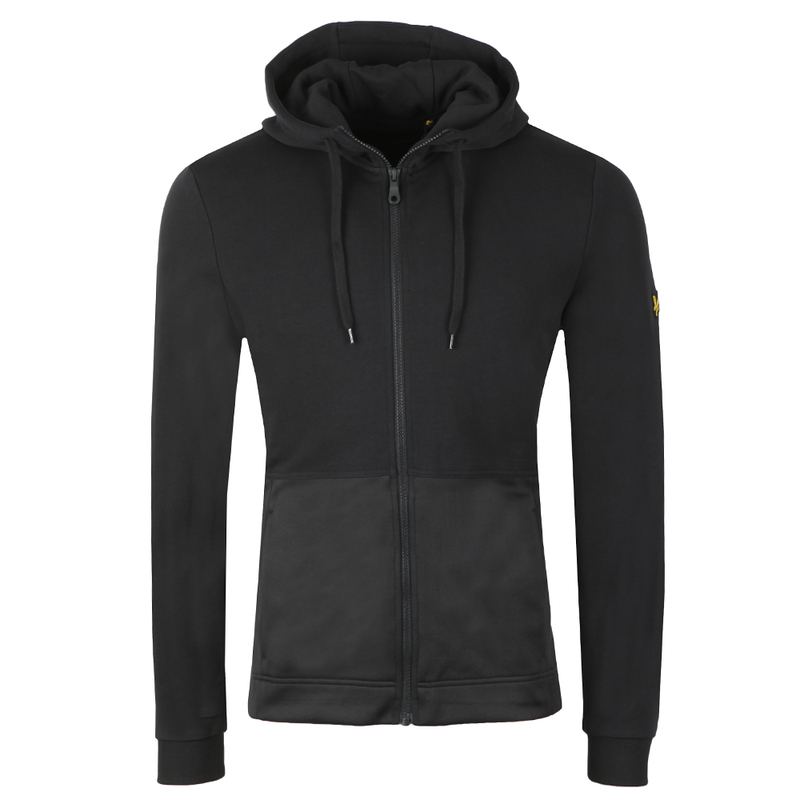 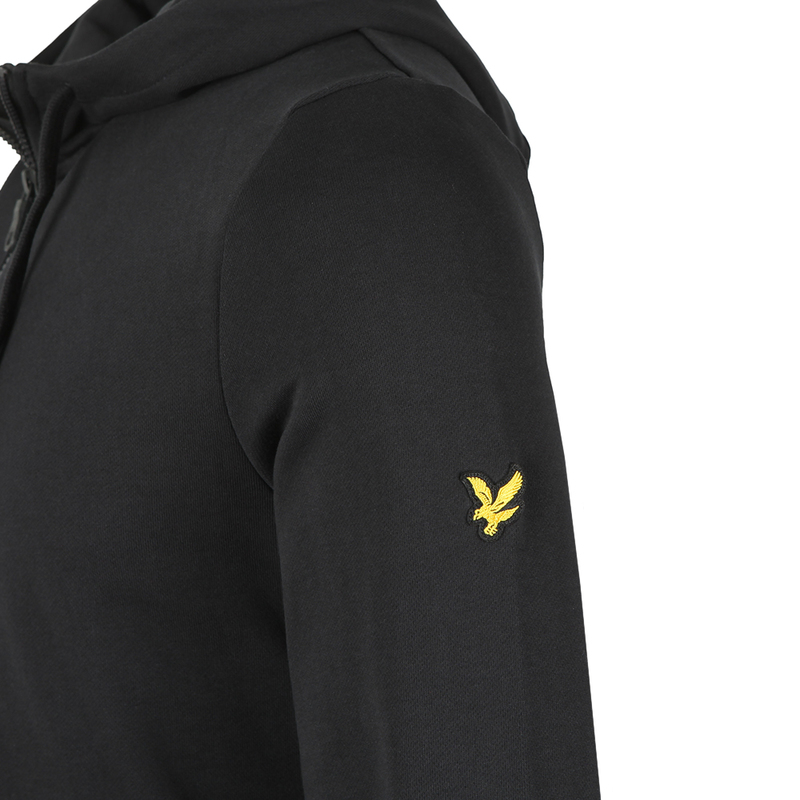 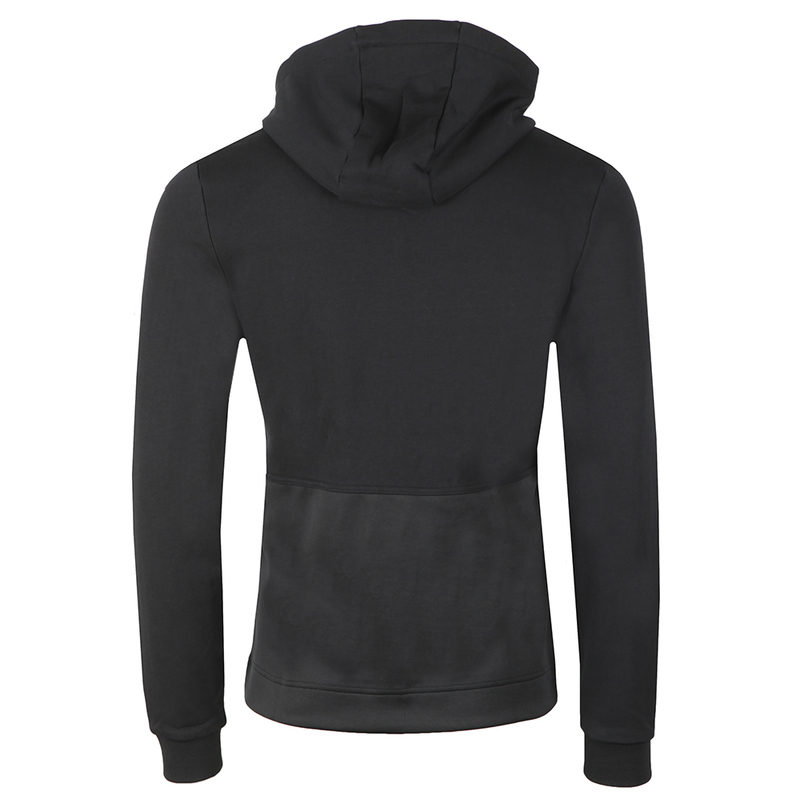 Lyle & Scott Fabric Mix Zip Through Hoodie, True Black. A plain zip hoody with a contrast lower panel that carries two hand warmer pockets. The golden eagle logo sits on the left sleeve.